Dissociative identity disorder (DID), the condition formerly known as multiple personality disorder, is a drastic response to extreme trauma and abuse. Exposure to severe childhood abuse is strongly associated with the development of alternate personalities, each of which represents some essential aspect of a person’s personality. In treatment the underlying factors that cause this frightening condition must be addressed, and the ultimate goal of treatment is to help men and women with dissociative identity disorder heal the inner wounds that created their fractured identities. Dissociative identity disorder (DID) is the preferred term for multiple personality disorder, a condition that develops in people who’ve suffered extreme trauma and abuse. In those who have dissociative identity disorder, elements of personality, memory, perspective, and consciousness in general remain fractured or unreconciled, causing two or more identities to form that incorporate some, but not all, of these elements. Dissociative identity disorder develops from a failure to integrate complex feelings, emotions, and psychological responses into one unified whole, and this failure reveals itself in dramatic form through the creation of distinct “personalities” that occupy the same body but seem to live totally separate lives. Dissociative identity disorder is considered a rare condition, but it is more common than people realize. According to the latest edition of the American Psychiatric Association’s Diagnostic and Statistical Manual of Mental Disorders, 1.5 percent of adults in the United States will experience DID in any given year. Most people who experience these symptoms won’t develop DID, but some could if they have a background that includes exposure to severe abuse, especially in childhood. Despite sensationalistic presentations on television and in the movies, the basic idea people have about the condition formerly known multiple personality disorder is essentially correct. The clearest indicator of DID is the presence of two or more personalities, with clearly distinct characteristics, that manifest independently and at different times and in different circumstances (alternate personalities often take over during times of stress). One misconception is that these different personalities are always unaware of each other and can never interact. Levels of disconnection between alternate personalities, and the depth and pervasiveness of the amnesia that accompanies that disconnect, varies from person to person. A certain amount of interaction between personalities may be possible, and mutual awareness of the thoughts and actions of other personalities may sometimes (but not always) exist. Family members and close friends may be the first to realize something is seriously wrong, since by its very nature DID tends to mask itself from those who have it. Because the condition is unexpected, mental health professionals always proceed cautiously when dissociative identity disorder is suspected, and they will not make a diagnosis unless they are certain it is appropriate. In virtually every instance, dissociative identity disorder is a result of exposure to extreme physical, sexual, and/or emotional abuse in childhood, of a type that leaves permanent emotional damage that can take years of therapy to overcome—if it is overcome at all. Exposure to extreme and horrifying trauma in adulthood, such as sexual assault, domestic abuse, or losing loved ones to violence or natural disasters, may contribute to the onset of DID. But even in these instances, multiple personalities are far more likely to manifest if there were exposures to childhood trauma as well. As a coping mechanism, it is known that young people will dissociate from terrifying and overwhelming experiences, blocking their worst memories and doing their convince themselves pretend everything is okay. Over time, if this pattern remains uninterrupted it can lead to the creation of separate personalities, some mental health experts believe, each of which will attempt to cope with the trauma in their own ways. The cumulative characteristics of the various “alters” (as the separate personalities are known) comprise the whole identity of the person with DID. But that identity will remain fractured unless and until the truth about the person’s past can be confronted openly, honestly, and with healing and recovery in mind. While trauma plays the leading role in the onset of DID, the odds of developing it are greater if there is a family history of the disorder. This is a characteristic that dissociative identity disorder shares with other forms of mental illness, which are at least partially a consequence of inherited factors. 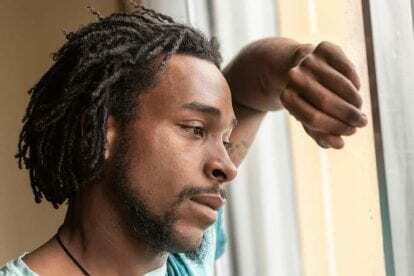 People with dissociative identity disorder almost always experience other mental and behavioral health conditions, which complicates their situation even further. Post-traumatic stress disorder (PTSD). PTSD is the most common comorbid condition in men and women diagnosed with dissociative identity disorder. Some mental health experts think DID could be an extreme version of either PTSD or complex-post-traumatic stress disorder (C-PTSD), the latter of which may develop in those who’ve been subjected to severe, long-term abuse. Borderline personality disorder. DID and borderline personality disorder have a strong association, and those who have both tend to report the severest trauma and most frequent dissociative symptoms. However, other personality disorders are not normally observed in people with dissociative identity disorder. Major depression and dysthymia (persistent depressive disorder). The symptoms of depression are routinely experienced by people with DID, likely in response to the stress associated with both dissociative disorders and depressive disorders. Bipolar II disorder. When bipolar II is present, different personalities may experience either depressive or manic states. Anxiety disorders. Stress and anxiety are synonymous with DID, in part because the condition is difficult to manage and partially because childhood abuse and trauma are significant risk factors for each. Somatic symptom disorders. People with this condition experience mysterious aches and pains, gastrointestinal problems, and neurological difficulties that are not easily traced to any physical cause. 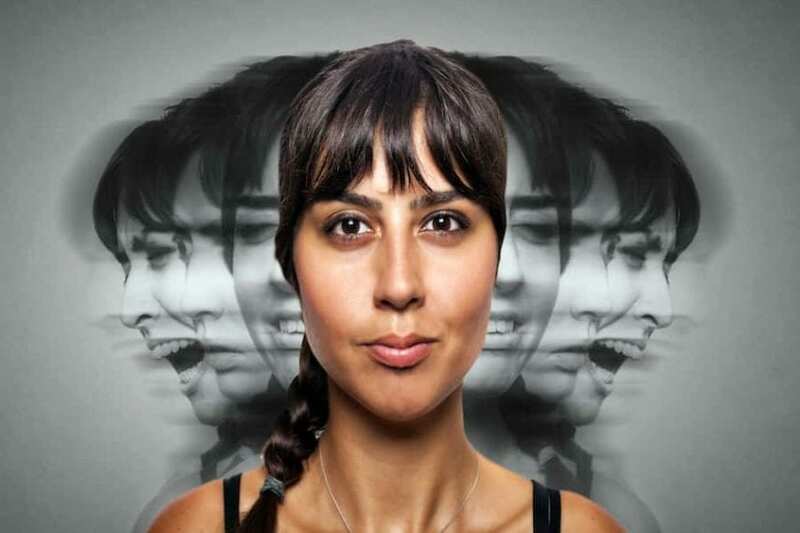 Dissociative identity disorder is a predictor for somatic symptom disorder. Eating disorders. Studies have uncovered a greater frequency of dissociative symptoms in people with anorexia and bulimia than among the general population. Substance use disorders. 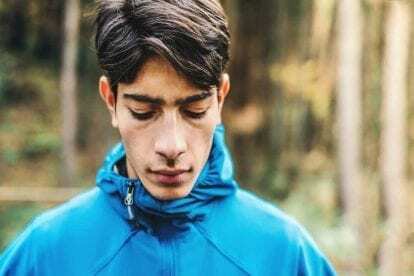 People with mental health conditions often turn to drugs and alcohol in a vain attempt to suppress their troubling symptoms, and those who have dissociative identity disorder are no exception. In one study of individuals enrolled in inpatient drug and alcohol treatment programs, 17.2 percent were found to be suffering from a dissociative disorder. It can take a long time to correctly identify the existence of dissociative identity disorder. But once it has been diagnosed, treatment methods will be adopted that have a proven track record of success when applied to this unusual condition. Psychotherapy is the primary form of treatment for DID. Sessions normally take place in an individual format, where therapist and patient can create bonds of trust and privacy. Dealing with dissociative symptoms is a delicate procedure, and the purpose of therapy is not to eliminate the various personalities but to help them all find peace, resolution, and self-acceptance. A history of trauma lies at the root of dissociative identity disorder, and only by coming to terms with their terrible memories can people with DID find peace, contentment, and freedom. Multiple personalities may be reintegrated into a single healthy, functioning personality eventually. But that process takes time and cannot be rushed or forced. Inpatient and intensive outpatient treatment programs for dissociative identity disorder represent the first leg on the journey to healing. In addition to therapy, patients in treatment will have access to medications that may help them control the symptoms of co-occurring conditions such as PTSD, depression, borderline personality disorder, and substance use disorders (virtually all people with DID have comorbid conditions). Continuing care programs will follow initial treatment and will require a long-term and open-ended commitment, since dissociative identity disorder is a severe mental health condition that requires extensive long-term intervention. Recovery from DID takes time, patience, courage, and expert assistance from mental health professionals who understand the nature of the disorder and know how to deconstruct the foundation of bad memories upon which it is built. Happier, healthier, and more peaceful days await people with dissociative identity disorder who get the comprehensive services they need, and despite the severity of the condition its most debilitating effects can be successfully managed.